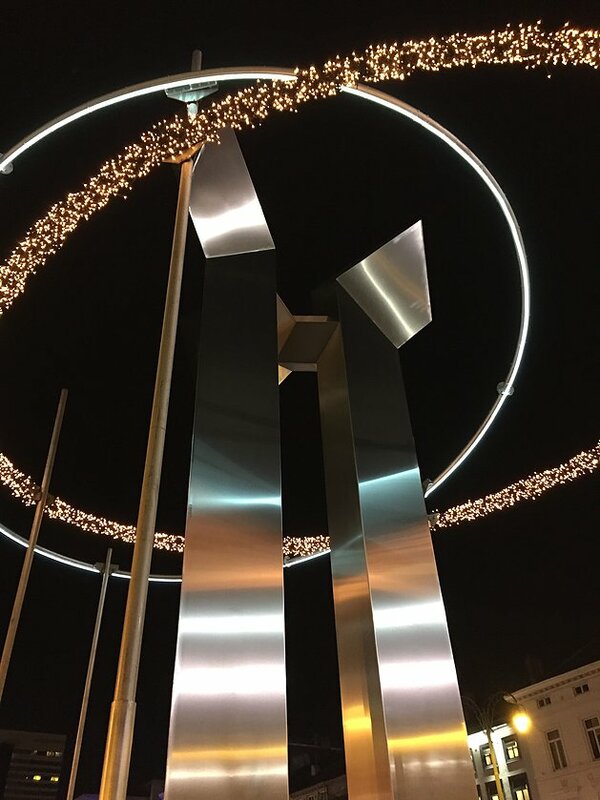 Signal of Light, created by the Belgian architect and sculptor, Jacques Moeschal at Porte de Namur, rises with dignity to the heavens. Its unfurling arms seem to seize the firmament and place it firmly on its sturdy pillars. The chilly cold steel catches all of the light sources surrounding the object. The sculpture works like a vertical conductor and creates a connection with the city’s vascular system. 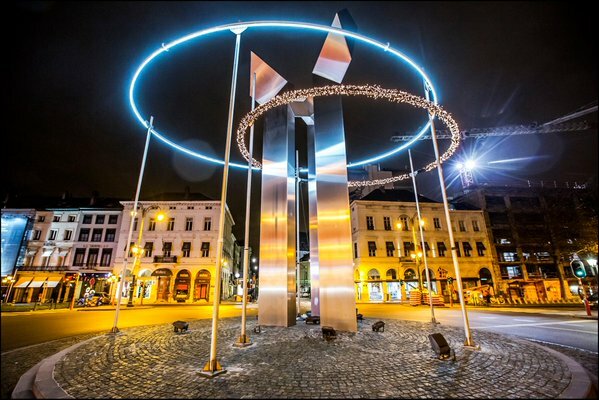 With Spheres, a work created by Van Laak and Meijer, the two artists make reference to the signalling function of this sculpture and all of the natural and artificial lights it captures. Signal of Light works like an axis around the two oval structures encircling it. Moving cyclically, they show us the cold light reflected by the moon and the warm light that is reminiscent of the flamboyant fire of the sun. Amid this constellation, the circular path taken by nature is highlighted, while Moeschal’s sculpture reminds us of the origins of life on this Earth.